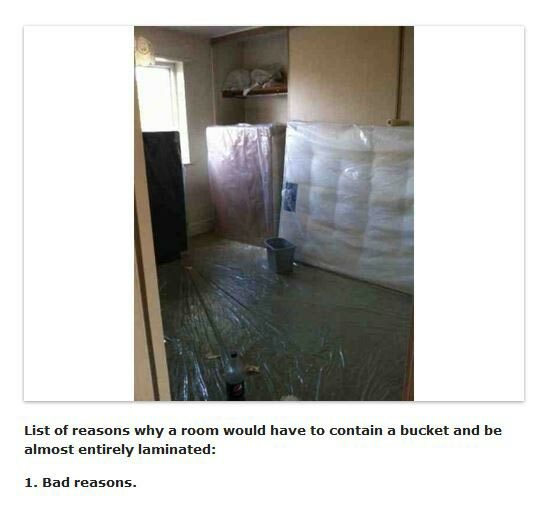 List of reasons why a room would have to contain a bucket and be almost entirely laminated: 1) Bad reasons. Created about 5 yrs, 5 mths ago (November 7, 2013). Updated about 5 yrs, 5 mths ago (November 7, 2013).